I found these Macrolepiota this morning in a sunny oak wood. Any ideas about how best to eat them? I identify them by the distinctive cap and leopard skin stem with moveable double ring. Is that sufficent? They look like Chlorophyllum Rhacodes, the shaggy parasol, which is edible. A couple of the mature mushrooms in your basket don't have the shaggy cap and have a thinner stem. A different species? Do a spore print on them. Here in NA, C. molybdites has a green spore print and is a common mushroom that makes people sick. Cut the shaggies top to bottom and they should stain a shade of pinkish orange or reddish & then brown. Your right about the pattern on the stem but Macrolepiota procera usually has a disproportionate thin long stem. Always a lot to think about. You should get some more comments from other on this site. Well, it's nice to have local advise, keep the wild mushroom forum posted about mushrooms in central Italy. good luck! 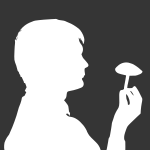 When I was young, in my hometown, we had a retired university professor who was a mycologist. Due to his health he couldn't get out in the field anymore so he would hire a bunch of us early teens to go mushroom pick for him and he paid us per basket. Anything and everything went into the basket, and he would sort them and teach us about various edibles to watch for as we brought them. Man...I wish I had listened a little better...lol. Must have been real amateurs to confuse those two. They look nothing at all alike.